Compared to the rest of the book publishing industry, we do publishing differently in ways that clearly benefit our authors. Authors publishing with us enjoy the creative freedom, expressive flexibility and sales potential that are the cornerstones of our author-originated book publishing method. At the same time, you’ll be the self published author of a book that is produced to bookstore quality standards, priced competitively based on page count with Infinity’s value-added option, offered to booksellers with industry standard trade discounts, and your book is guaranteed fully returnable under the generous terms of our return policy. We realize you may be overwhelmed by the many book publishing options cropping up on the net. Here are several essential services we provide that set Infinity Publishing apart from other book publishers you may be considering. Special topic niche books sell especially well through stores specializing in serving the needs and interests of niche customers. Corporations are often interested in purchasing niche books in significant numbers if the book contains a sponsorship page with a message from the sponsoring corporation. The sponsor gives the niche books to their employees and potential customers. Infinity’s Corporate Sponsorship Page makes this book marketing opportunity possible. You find a corporation interested in sponsoring a quantity of your books, and Infinity Publishing will finalize the arrangements and close the deal. This is at no cost to Infinity authors – the sponsor pays and our author earns handsome royalties. Infinity Publishing generates royalty checks every month within 31 days after the following month closes. Each royalty check is accompanied by a book publisher’s statement that shows recent book sales and total sales from release-date-to-present. Most other book publishers hold on to your earnings by paying royalties quarterly or semi-yearly – this is one way they mimic the habits of traditional book publishers. Your royalties are always paid promptly and monthly by Infinity Publishing. When you purchase copies of your book, you get the full 40% discount, and you also earn royalties of 10% on your own purchases. Some book publishers only allow authors a small token discount, however, many of the emerging book publishers do not pay royalties on sales to their authors, and they always charge authors for shipping. Some of our self published authors do seminars and sell their author purchased books in the back-of-the-room. In addition to the profit in-hand from selling their books on the spot, the author also earns a royalty on the purchase and Infinity pays for shipping the books to the conference hotel. If a mainstream book publisher expresses an interest in an Infinity title, the author is able to produce their Publisher’s Statement as an accurate track record of the book’s complete sales history. 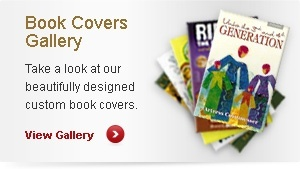 Books are judged by their cover, it’s the first impression your book makes. Well designed cover art is so critical to the success of a self published book that we have included in our one-time setup fee, a custom designed, full-color cover for your book. Many book publishing services charge authors extra for a cookie-cutter cover made from stock templates that have been used countless times before on their other books. Each of our covers is individually created by Infinity’s graphic arts department to reflect the essence of the book. We welcome ideas and suggestions from the author, as we work closely together to achieve a dynamic design for the wrap-around cover. We have built a wide and far-reaching distribution network through Ingram, Baker & Taylor, Amazon.com, Barnes & Noble, Chapters-Indigo, Books-In-Print, and many other top retailers and independent bookstores giving your book international exposure. Above and beyond the comprehensive distribution channels included in your one-time setup fee, we also offer, as an option, extended distribution through Ingram and Baker & Taylor, the largest book distributors in the world. Our strategic partnerships also include special discount arrangements for our authors with book reviewers, marketers and other book publishing industry professionals interested in helping you to achieve publishing success. We are the only book publisher producing a monthly newsletter with substance that’s e-mailed to every Infinity author. Several years of back issues of the newsletter are archived for your reading enjoyment and you might pick up a few ideas for promoting your book. We also do two BLOGS one from us directly the other from our authors focused on marketing strategies and tips. Infinity’s Book Publishing Agreement is in plain English and clearly states that you, the author retain all rights to your book. Our contract is easy to understand with no confusing legalese and indecipherable conditions. You may withdraw your book from publication and cancel our non-exclusive agreement at any time and your book will promptly be removed from Infinity’s book publishing and distribution system. Some book publishers take some or all of your rights, which can hurt you when you are successful with your book and attracting interest from a mainstream book publishing house. Many book publishers require a 90-day written notice and then withhold certain rights for up to a year or charge a fee to return publication rights to the author. Not being in control of your book can seriously hinder your chances of landing a traditional book publishing deal. With Infinity Publishing, you are always in complete control of your book and every aspect of the publishing process. When you enter into a Book Publishing Agreement with Infinity Publishing, you hold the copyright that is in your name and you own all the rights to your book including movie, screenplay, radio, TV, audio book, e-book, and foreign language rights. If your novel has movie potential, you want the right to make that deal while the interest is hot. Many book publishers keep certain rights and can exercise these rights without your input or approval. With Infinity Publishing, you grant us permission to publish and distribute your book with the agreed understanding that monthly royalties will be paid on each book sold. When you compare other book publishing agreements, make note of what essential elements are included in their various levels of fees. Some will ask you to decide whether you want your picture on the back of your book (for a fee), whether you want the book publisher to sell your books direct (for a fee), or whether you want them to sell your book to stores (for a fee). Their confusing list of fee-based qualifiers goes on and on. With Infinity Publishing, you get all of the services you need to achieve book publishing success with our affordable, one-time setup fee of $599 – no hidden costs and no annual maintenance fee. Copyediting and proofreading service – at about a penny per word you enjoy the peace of mind that your book has been professionally purged of grammatical goofs and typos which enhances the reader’s joy – nothing is more bothersome than reading a book and discovering a typo. Multiple language translation service options available – Call for details and pricing.Please note: the above optional services are based on the total word count for the book. Using a flat per-page fee is not author-friendly and results in an excessive cost to the author. Expanded bookstore distribution through Baker & Taylor and Ingram – for the optional cost of $249 your book is made available to over 50,000 bookstores ordering books through their ordering systems. Our fee covers the cost of adding and maintaining an Infinity title in their book distribution system. Books printed by Lightning Source/Ingram or Baker & Taylor for sale by either are not covered by Infinity’s return policy for booksellers. Advance Reading Copies Program – for the optional cost of $499, Infinity Publishing will provide 24 ARC’s of the author’s proof books for the author to send out for reviews and blurbs to individuals who have expressed the desire to see a pre-release copy of the book. 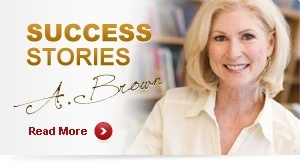 This enables the self publishing author to get a running-start at promoting their book. CD included inside the book – for an additional fee a professionally produced CD can be included on the inside back cover of your book. The CD may contain any type of files that will enhance the value of the book. Your book will be designed, formatted, printed, bound with a full color laminated cover, and inventoried where the quality and order fulfillment demands. Some book publishers go overseas for book production to places where there’s no protection under US Copyright law. If this is the case, ask about shipping costs for both you and your customers. Furthermore, shipping books from abroad can take as long as three weeks! We maintain an on-shelf inventory for many of the books we publish, enabling Infinity to ship most retail orders in a timely fashion. If your book’s sales go through the roof, then we’re more than ready to handle order fulfillment with outstanding quality and prompt delivery. Infinity published books are competitively priced according to page count – the greater the number of pages, the higher the retail price. Our book pricing is aligns with similar books found in any bookstore. Many book publishers price their books much higher because they are locked into a third-party contract to produce their books. These book publishers then offer seemingly high royalty percentages based on spurious math – including paying royalties on net receipts less expenses and fulfillment costs. This number-game gives their self publishing authors the illusion that they will get paid a high royalty percentage in an effort to justify outrageous pricing. Unfortunately, all the royalties in the world won’t amount to anything when an over-priced book does not sell. Our pricing starts at $9.95 because we believe that ongoing sales equal success, and we earn our profit by selling books. Our value-added pricing empowers authors of non-fiction books and established novelists to increase the price of their book in whole dollar amounts above the suggested retail price. Non-fiction books frequently contain proprietary material, unique research findings and intellectual property that warrant a higher retail price – established and authorized by the author. Infinity pays monthly royalties based on the actual selling price of the book, retail, wholesale, distributor, and author purchases. Authors of books eligible for value-added pricing receive an addition royalty that is approximately 75% of the value-added increase. Niche books often warrant price increases indicative of the specialized topics. It’s hard to imagine, but some book publishers charge their authors extra for the privilege of selling books on the publisher’s website. By charging a fee, these book publishers make a profit even if the author doesn’t sell a single book. When you self publish with Infinity Publishing, your book will automatically be displayed for sale at Buy Books on the Web, our secure e-commerce website. In our online bookstore, your published book will have its own separate page with a full color cover, abstract, author’s bio, 1,000 word sneak peek, and reader reviews. Your book can be searched for by author, title, or ISBN. Readers can even log on to add a review and rate your book. We receive orders directly from our bookstore website and we also accept orders by our toll free number, fax, or mail. Infinity Publishing has a facility just outside Philadelphia, Pennsylvania and an office in Massachusetts. We invite prospective authors and writers interested in publishing with Infinity, to call the office and schedule an appointment to meet some of our in-house staff. Our staff is dedicated to providing Infinity authors with a positive book publishing experience and producing quality books, promptly delivered to our customers. Our employees are especially adept at working with and understanding the unique needs of self publishing authors because most of them are also published authors. We have a long and successful history in print production and the book publishing industry. In 1977 we opened our first commercial printing facility in Media, PA. In 1991 we were leaders in mastering the use of digital printing technology. In 1997 we began publishing books for authors just like you and rapidly became the acknowledged trendsetter in this evolving branch of digital publishing. Over the years, we have watched competitors come and go, leaving unhappy authors in their wake. They didn’t grasp the significant changes digital publishing has caused in the book publishing industry. However, their greatest fault was underestimating the vital role of the author in publishing today. Simply stated, we know what we’re doing – we do it exceptionally well – and we care about you, the author, and your book – before, during and after we publish your book. The outstanding staff at Infinity Publishing has worked diligently to attain one of the finest reputations in the publishing industry. For the first several years we had to explain that we are very different from all the other book publishers that just sort of popped up over-night. We earned the respect of the book publishing community by keeping promises made to our self publishing authors and booksellers, by doing our utmost to appreciate the uniqueness of our authors and always treating them fairly; by never missing a royalty payment and providing an accurate record of all books sold corresponding with royalties paid; by delivering proof books to our authors on time as promised; by constantly producing books of the highest quality that are welcomed by booksellers nation-wide; and by delivering book orders as promised. We are involved in a variety of activities helping to create a level playing field for self publishing authors and writers with a work-in-progress. We take great pride in Infinity’s continuing contribution of benchmark publishing achievements that benefit our authors and serve as mile-markers for the changing book publishing industry. When you self publish with Infinity, your book will have the distinguished Infinity Publishing imprint that’s held in high regard in the industry, and more importantly to us, in even higher regard by our authors. We do not charge authors a yearly maintenance fee, and your book will be in print indefinitely. Your privacy is important to us, therefore we have neither telemarketers nor a commissioned sales staff to call you night and day to solicit you with expensive add-on services.